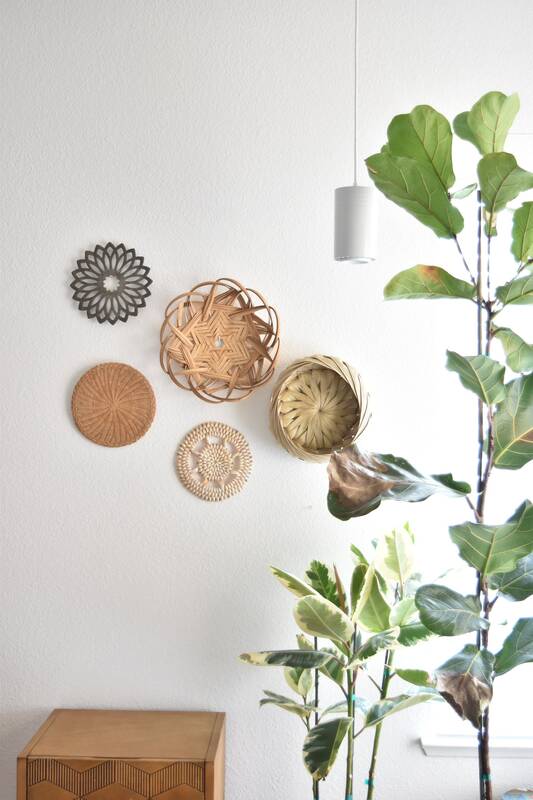 Gorgeous woven wall baskets with a mixture of pretty patterns and materials. Includes one vintage metal flower trivet. One of the baskets can even hold a small airplant. All in good condition with some minor wear and tear. Some minor breakage. A wonderful statement piece for the wall. 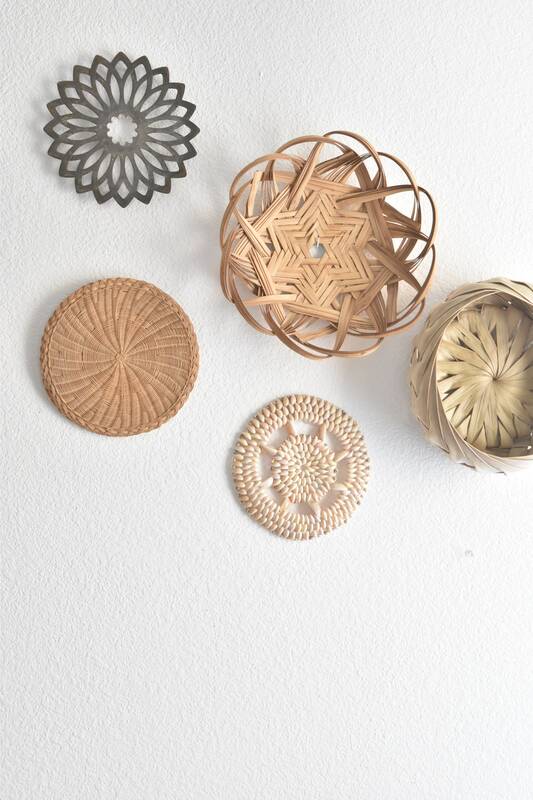 Nice neutral colors that'll go with most decor. 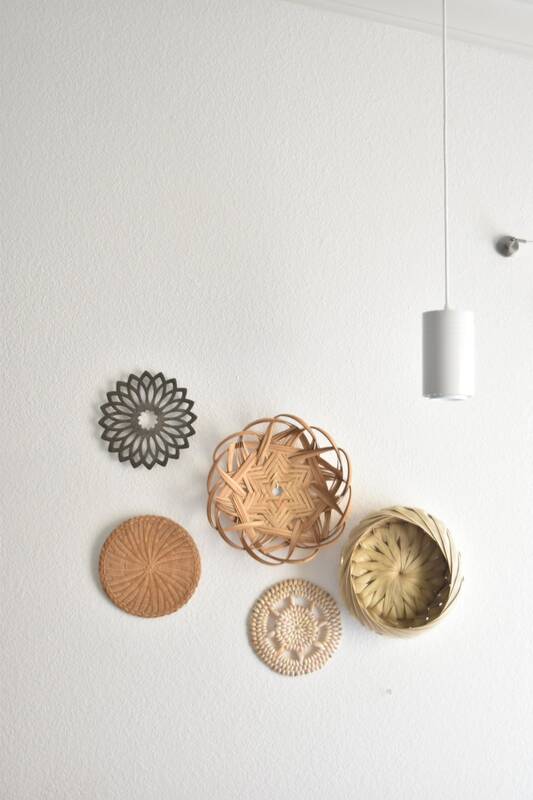 Baskets were hung using regular wall tacks, push pins, and 2 sided tape. All in good condition with normal wear and tear.